Florida is famous for many things, including warm weather, sunny beaches, and a diverse population. The state is also known as a hotbed for real estate investment opportunities. The state of Florida is comprised of many unique regions, each with its own opportunities and challenges. Those looking to invest in Miami, for instance, are likely to have a very different experience than one might expect in another active area like Jacksonville. Our commercial and multifamily loan experts have helped investors all across the state of Florida secure commercial financing. If you are planning to take the next step with your investment goals in the Sunshine State, you can feel confident that our team both understands your needs is equipped to meet them. To get a better idea of the solutions we are able to provide, take a look at some recent success stories that took place in various cities within the state of Florida. Sometimes it isn’t enough for an investor to have a high credit score. In this instance, the borrower’s strong credit could not overcome other sticking points, such as the building’s recent stabilization, when they applied for a refinance. This can be a difficult pill to swallow for an investor who spends months rehabbing and stabilizing a commercial property with the hopes of refinancing for a lower interest rate. Fortunately, this investor’s hard work was rewarded when they partnered with our team of mortgage experts. The borrower secured a lower interest rate on a long-term solution that met a greater number of their needs. Refinancing a commercial property can be difficult for borrowers who have not owned it for several years. In fact, seasoning requirements regularly play a part in commercial loan denials. The investor in this case sought to refinance their retail property less than 2 years after they made the initial purchase. This naturally made it difficult for them to work with traditional lenders. But that was not the only challenge. The investor was also looking for a loan solution that did not require them to produce tax returns. 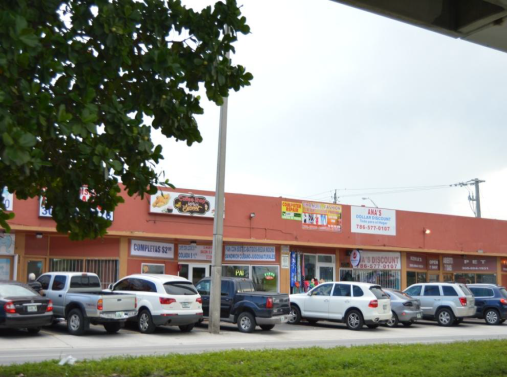 Despite these complications, our team was able to meet the investor’s needs and finance the retail property. This case provides further proof that commercial real estate investors do have alternative options when banks and other types of traditional lenders say no. This prospective borrower found a promising investment opportunity in Florida and began to look for mortgage financing. But it soon became clear that they did not see eye to eye with lenders when it came to the retail property’s prospects. It turned out that the building type and level of occupancy were not in line with many lenders’ requirements. Further complicating matters was the fact that the borrower was on a tight schedule and needed a fast closing. Thankfully, the investor eventually brought their financing request to our commercial mortgage experts. Our team saw value in the property and worked through the occupancy issues that had previously prevented the borrower from securing financing. The result was a commercial loan that made it possible for the borrower to purchase the property and take the next step toward achieving their investment goals.